1. Preheat oven to 350 degrees. Line a baking sheet with foil and set aside. 2. In a large bowl, add the ground beef. 3. To make bread crumbs: remove crust, break up bread and add to a blender or food processor. Process until the bread turns into crumbs. 4. To the beef, add the bread crumbs, onions, egg whites, ketchup, mustard, Worcestershire sauce, salt and pepper, to taste. Using your hands, mix together all the ingredients. 6. In a small bowl, mix together the topping ingredients. 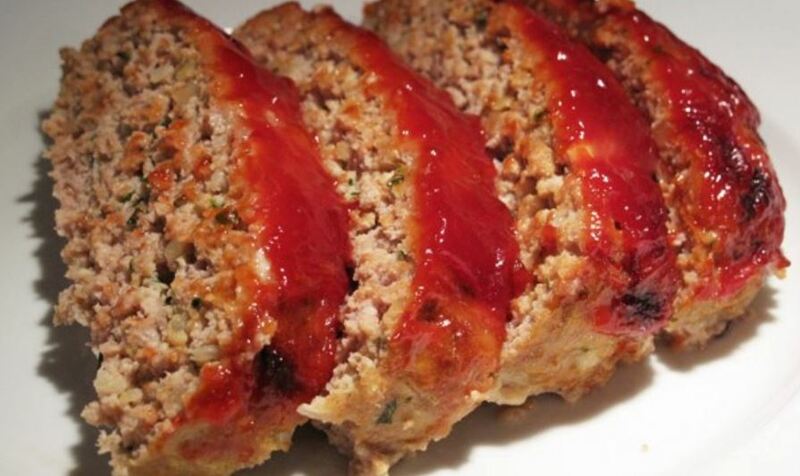 Spread all over the top of the meatloaf. 7. Bake for 55 minutes. Remove from oven and let rest for at least 10 minutes before slicing.